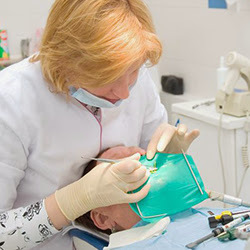 Posted February 21st, 2019 by & filed under Dental Implants. Posted February 20th, 2019 by & filed under Dentist. Posted February 20th, 2019 by admin & filed under Dental Services. Posted February 20th, 2019 by admin & filed under Dental Implants. Posted February 19th, 2019 by Lillian Price & filed under Dentist. Posted February 18th, 2019 by & filed under Dentist. Posted February 15th, 2019 by & filed under cosmetic dentist. Posted February 14th, 2019 by Lillian Price & filed under Dental Care. Awesome Dentistry has been operating in Park Ridge, Illinois for over two decades. It offers a variety of services including endodontics, orthodontics, general dentistry, cosmetic dentistry, oral surgery, periodontics, and emergency dentistry. Posted February 13th, 2019 by Lillian Price & filed under cosmetic dentist. Posted February 13th, 2019 by & filed under Dental Care.